Newton, MA averages 33.4 degrees F in winter. You need a well-insulated garage door to keep the heat inside and the cold out. There's no better way to understand the quality of our products than to watch them being tested against others in a lab. Your door is only as good as its installation. That’s why GARAGA offers its customers a network of certified installers. 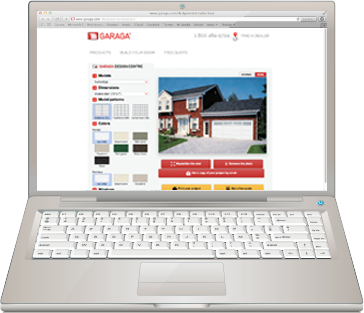 From Natick, MA to Framingham, MA to Burlington, MA you can benefit from over 30 years of combined experience with GARAGA products. What other customers from Newton area say about Garaga? I spoke to salesman over the phone and he was very helpful. The sales people are very knowledgeable and will not push you to buy the most expensive garage door but one that works for your style and budget. Seemed the most professional and had a good selection. Professional service, and nice product. Local, prompt response, respectful, courteous. It's hard to find reliable, fair contractors and service professionals these days. They were all this and more. There is nothing they could have done to improve the outstanding service, price, and respect for the customer. Great reputation, straightforward, honest sales process, showroom was helpful, prompt replies with emails. You present multiple options and multiple price ranges, and do high quality work. According to a cost-value study made by the magazine “Remodeling”, midrange projects to replace a garage door cost on average $1,532 in New England. In fact, houses in New England recoup an average of 75.3% of their garage door cost when they are sold. Top 2 most popular door models in Newton, MA: Acadia 138 and Standard+. Specialists in GARAGA garage doors in the Newton, MA area know garage doors like no one else, and they’re familiar with the local climate and style of architecture. That’s why they’re best able to advise you, while keeping in mind your personal needs and preferences as well as respecting your neighborhood’s unique personality. 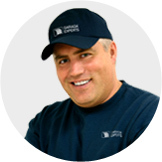 Anytime you need to pick a new residential garage door, just trust experts on the matter. They’ll help you every step of the way to make an informed decision: determining the use you want to make of your garage, its location relative to the house, the insulation level required, the type of door opener you need to use, and any accessories you may also want. And lest we forget the aesthetic aspects of your new garage door: design, color, texture, windows, and hardware. LiftMaster is the leading brand for door openers. 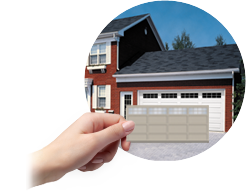 Newton, MA garage door specialists swear by it for several reasons. Part of The Chamberlain Group, LiftMaster has been a household name in the industry for quite a while. Their expertise is made evident by their product quality and reliability: their garage door openers are very durable, and you can trust garage door professionals on that. LiftMaster door openers are a breeze to use, and they’re perfect for every situation. For example, if you have a bedroom located directly above the garage, you’ll want a quiet door opener. They’re also compatible with any garage door. Finally, the brand offers a wide range of accessories that help you safely manage your garage door. In order to ensure that your garage door system performs as well as it can, as safely as it can, and lasts as long as possible, it’s preferable to have the garage door installed and frequently inspected by trained technicians. 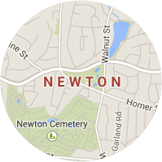 You can count on Newton, MA area professionals for all your installation, repair, and maintenance needs for any residential or commercial garage door. We also offer a yearly checkup program to help prevent problems and avoid creating emergencies and unnecessary costs. We’ll be happy to arrange this with you, and our team will inspect your garage door system every year to make sure it’s always in proper working order!